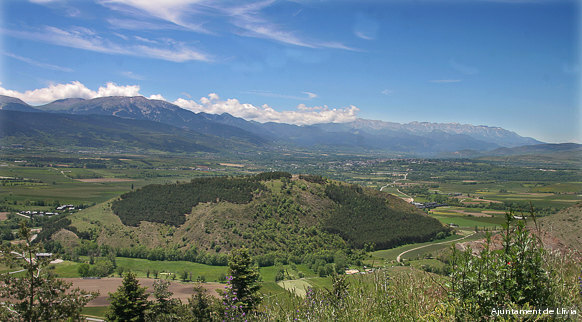 You will fall in love with Cerdanya at first sight due to the beauty and diversity of its landscape. The Cadí-Moixeró Natural Park, the headwater of the River Segre and some of the mountain peaks such as Plana de Lles or Puigpedrós are some of the beautiful places that form part of this great valley of the Pyrenees. Your idyll with the region can continue while you are hiking, mountaineering, doing mountain biking, downhill skiing, cross-country skiing, golf, horse riding, climbing, snowshoes, fishing, ice skating and a long et cetera. The Cerdanya region is what you want it to be. You can also enjoy an extremely enriching trip through its history, visiting the hermitages and small Romanesque churches dotted over the territory, which make up part of the Romanesque Way that crosses the Catalan Pyrenees.